I was so happy with the transformation of the Hawaiian Airlines snack bag shown in my last blog post, that I decided to upcycle the other bag that I squirreled away in my tote during our recent trip to Japan. Like with the last bag, I covered the bottom of the bag (below the fold) with printed card stock. The pretty floral print I used was 'Hope' from Simple Stories. 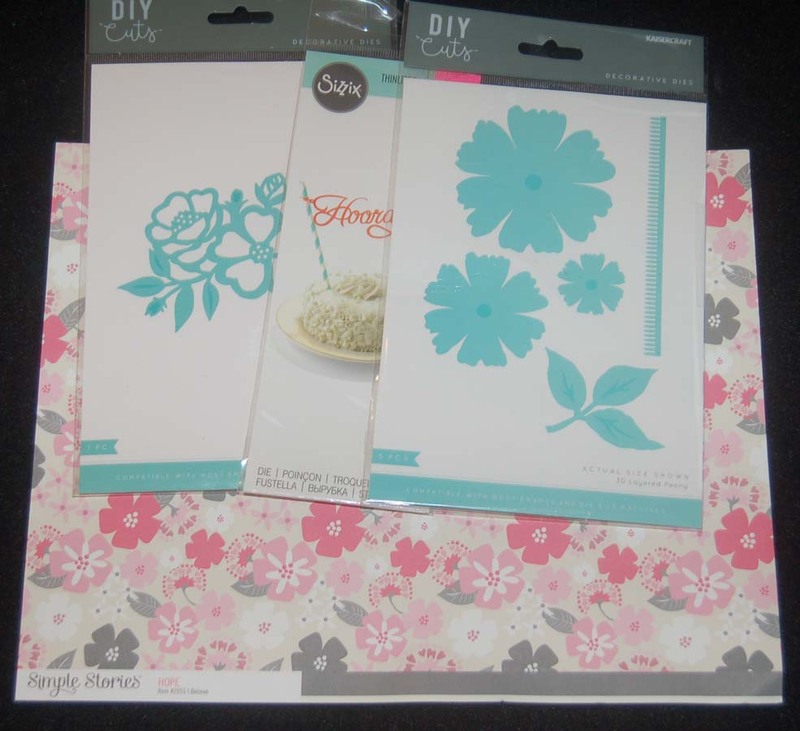 I cut the 'Hooray' (using a Sizzix cake topper die) from silver foil paper (DCWV). 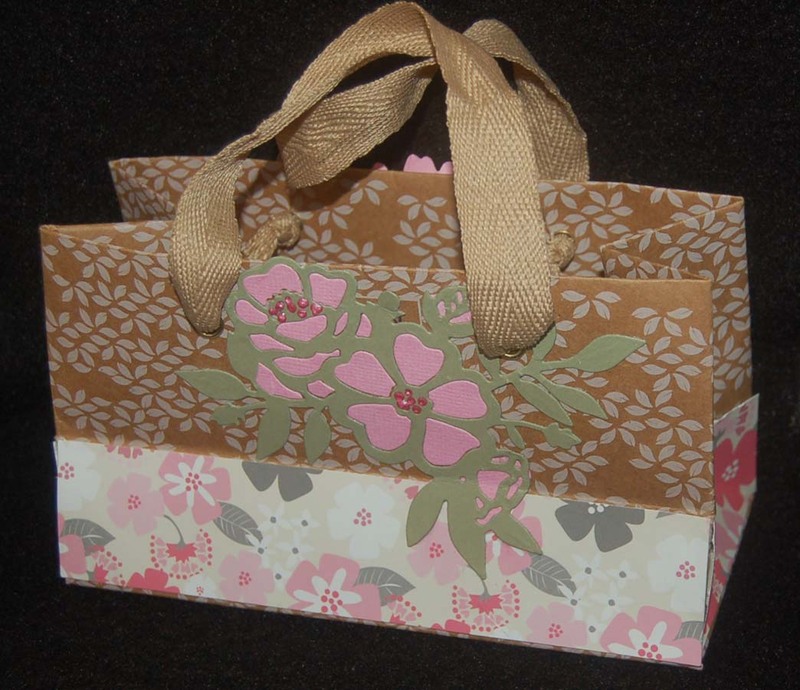 To cover the airline logo on the front and back of the bag I cut solid paper with Kaisercrafts floral dies. For the back of the bag, I popped out the flower petals and replaced them with a contrasting pink paper. For the very tiny pieces I simply glued some extra pink paper behind the cut out parts. 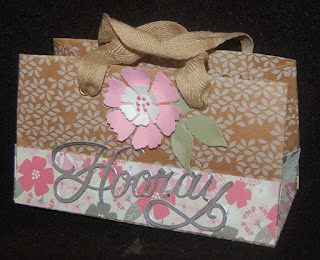 On both the front and back of the bag, I applied dark pink Bo Bunny pearlescent paint dots to the center of the flowers. I am extremely pleased to have two new recycled bags to add to my stash of gift bags and to be able to smile when I show them off to my husband!